The newly announced ASUS VG255H features a 24.5-inch TN panel with Full HD resolution, a quick 1ms response time speed, and support for the AMD FreeSync technology. Marketed as a console gaming monitor, it features two low input lag HDMI ports, so you can have both your console and an extra media device simultaneously connected. 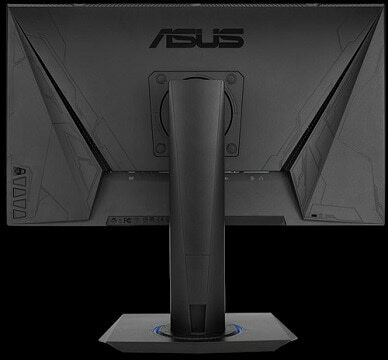 While the ASUS VG255H monitor is primarily aimed at console gamers, many will avoid it solely because of its TN panel. Sure, you may get the rapid 1ms response time for zero motion blur, but if you’re having friends over for a multiplayer game or two, the narrow viewing angles common for the TN panels can easily ruin the experience for everyone who’s not sitting directly in front of the screen. 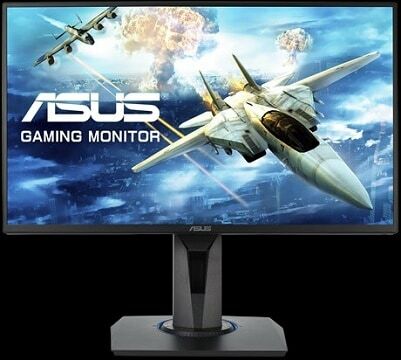 Therefore, the ASUS VG255H is more suited for a single player playing competitive fast-paced games. The monitor features the standard 1920×1080 resolution with a mere 250-nit peak brightness and 16.7 million colors (likely via 6-bit + FRC dithering). Just like most of the modern monitors, the ASUS VG255H is flicker-free and features a built-in low blue light filter so you can endure long gaming sessions without eye fatigue. 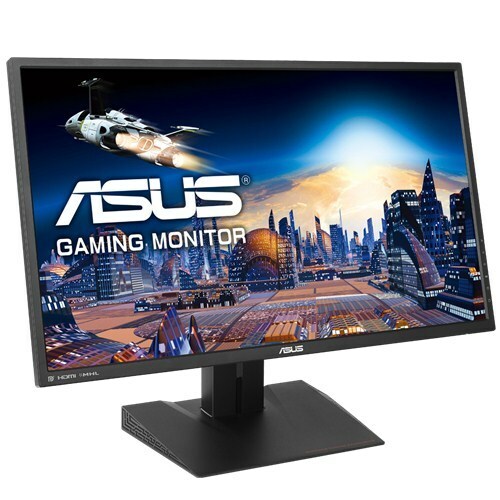 When it comes to the game-enhancing features, the ASUS VG255H display offers its proprietary GamePlus (customizable on-screen crosshairs, timer, and FPS counter) and the GameVisual pre-calibrated picture presets (FPS, RTS/RPG, Racing). If you have an AMD graphics card which supports FreeSync, you will be able to synchronize the frame rate of its GPU to the monitor’s refresh rate. As a result, all screen tearing and stuttering will be removed within the dynamic range which in this case amounts to 40-75Hz. ASUS also boasts the Instant Input technology which should further remove input lag from the dual HDMI ports. 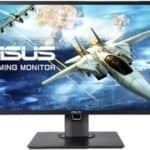 As far as the connectivity is concerned, besides the two HDMI ports, the ASUS VG255H FreeSync monitor also features a VGA port, the headphones jack, and two 2W stereo RMS integrated speakers. Finally, the monitor offers an extensive ergonomic support with swivel, tilt, height, and pivot adjustments as well as the VESA mount compatibility. The OSD (On-Screen Display) menu is navigatable using the 5-way joystick while the buttons below it can be used as shortcuts for some of the monitor’s exclusive features. 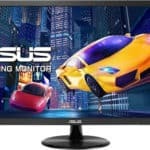 The ASUS VG255H price and release date are unknown at the moment (March 2018). You can check the official product webpage for more information. For casual 1080p console gaming, we recommend the Acer R240HY with an IPS panel instead. It will offer you a much better image quality overall and will likely be more affordable than the VG255H once it’s released. If you’re looking for a monitor exclusively for console gaming, you should check out the 27-inch 1080p Acer R271. Visit our best monitors for Xbox One X and PS 4 Pro for more alternatives. In case you really need the 1ms response time speed and don’t mind the bad viewing angles, we suggest the BenQ RL2755 as the best monitor for competitive console gaming. This screen is good in my opinion. however it is a 75hz panel not a 60Hz! !